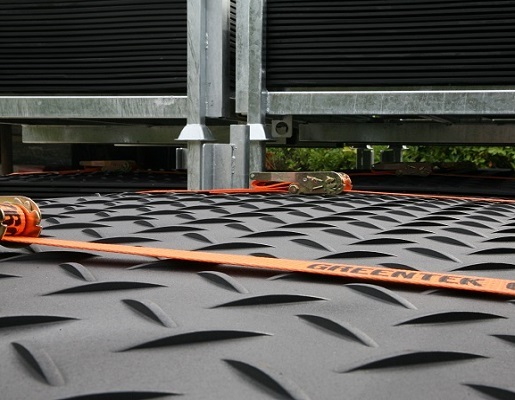 A leading UK machinery rental company, in order to fulfil their own customers’ needs, wanted to invest in temporary trackway mats. They chose Ground-Guards’ MultiTrack because it’s the most versatile on the market, being both multi-purpose and multi-use, and with a lifetime guarantee too. Delighted with the product, they quickly returned to hire more stock, and this time they needed a safe and secure option to transport and store them. We recommended our SafeStore Stillages as these are hands-down the best way to keep a yard or warehouse safe and tidy. 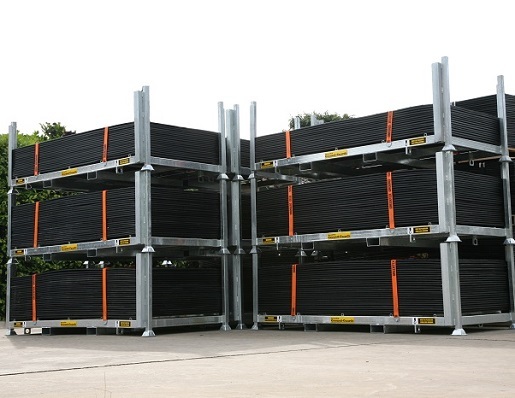 Made from fully high quality galvanised steel, the Stillages are stackable vertically, which is a great way to save space, and they are fitted with built-in fork-lift channels, making them very easy to pick up and stack. 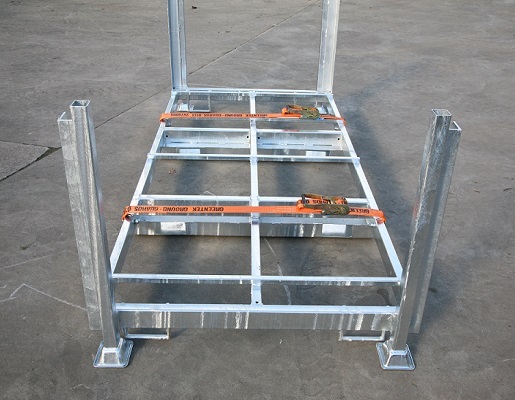 They are also fitted with tough integral ratchet straps, preventing movement of boards in transportation. Our customer was delighted with this solution because it enabled a large volume of MultiTrack mats to be transported and stored neatly. Their yard is now a safer working environment for staff, vehicles and visitors alike. A simple but effective solution!